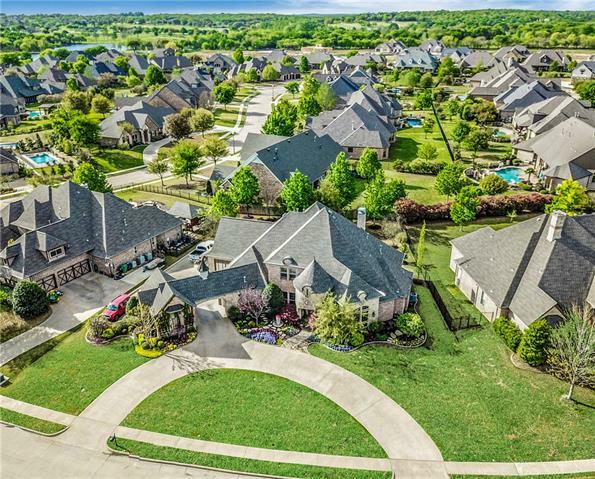 All Denton homes currently listed for sale in Denton as of 04/21/2019 are shown below. You can change the search criteria at any time by pressing the 'Change Search' button below. 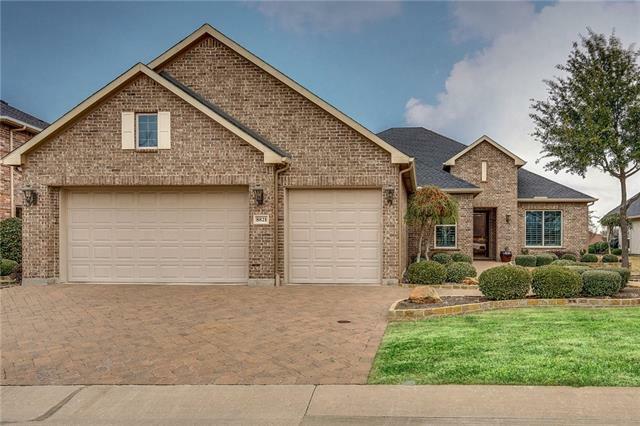 If you have any questions or you would like more information about any Denton homes for sale or other Denton real estate, please contact us and one of our knowledgeable Denton REALTORS® would be pleased to assist you. 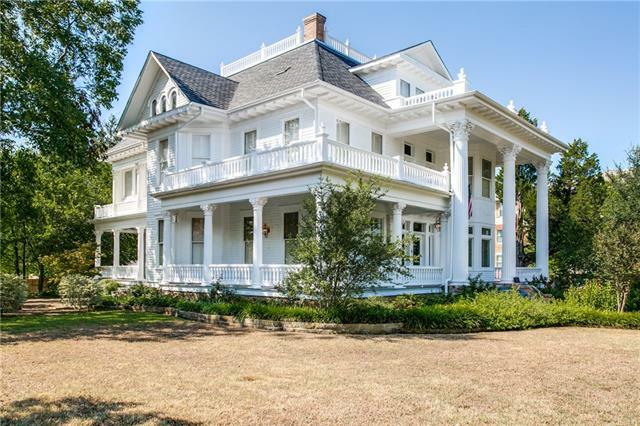 "Magnificent Evers Mansion built in Early Colonial Revival Style with exquisite updates by award winning interior designer. Rich hardwood floors and elegant moldings found throughout home. Spacious rooms with an abundance of natural light. Gourmet kitchen with full catering kitchen includes custom cabinetry, commercial grade appliances, amazing butler pantry with leaded glass cabinetry and bronze countertops, full wine cellar, media room with drop-down screen, large elevator, amazing outdoor terr"
"CAN ZONE AS COMMERCIAL! GREAT INCOME PRODUCING PROPERTY! Multiple Dwellings on this 3.9 Acre property. The main home w 2915sq.ft., A guest house 640sq.ft., a mobile home w 1580sq.ft., Automotive Shop w 2000 sq.ft., an additional 2640 sq.ft. metal building w 528sq.ft. apartment, 3rd metal building w AC office is 2496sq.ft. Plus a covered boat shed, small tool shop, storage building, carport, in-ground storm cellar, and slab to park your RV! The main home is a custom built home with tons of storag"
"Welcome to Chateau Novella, an exquisite French inspired estate combining timeless finishes and thoughtful architecture, while the sprawling grounds are a wonderland of nature flocked by fountains, landscaped gardens and canopied by mature trees. Designed for comfortable living and elegant entertaining, each area of the home welcomes you with both beauty and purpose and bathes you with sunlight from every view. 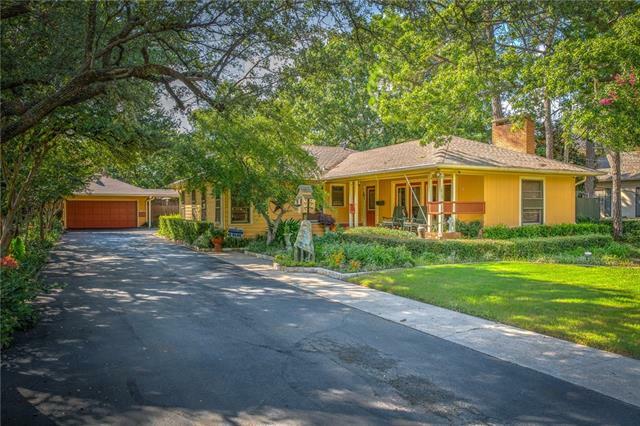 Please consider the photos, video and descriptive detail to learn more about this ple"
"'REDUCED OVER $100,000 * LOOKS LIKE HIGHLAND PARK EST w-DENTON PRICE'...VIRTUAL TOUR * COVETED MONTECITO * Sprawling 1-Story 6,112+ SF Of Elegant Yet Warm,Livable Space * Situated on 1.38 Ac Commercially Sprinkler Grounds Nestled Amongst Towering Trees * Guests Will Awe at Ballroom-Size Great Rm w-Enormous Windows Creating Panoramic Views of the Cov OutDr Kitchen-Entertain Area, Resort-Size Diving Pool * 5 Bdrm Suites*5 Full Baths + 2 1-Half Baths*Formal Dining for Hosting Large Gatherings*Morn"
"This spacious home is the epitome of luxury! 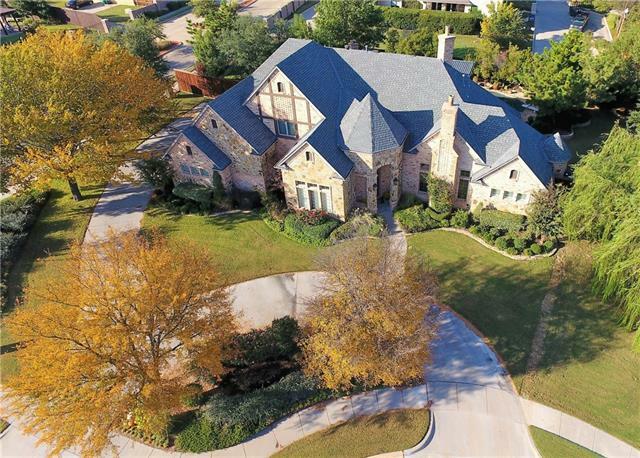 It defines curb appeal with is luscious landscaping, stone & brick facade, circle drive, turret entry, & Porte-Cochere driveway. Some of the seemingly endless upgrades include: open split bed fp, arched doorways & windows, rich hand scraped hardwood flrs, granite cntrs, upgraded SS Apps, under & over cab lighting, glass tile bck splsh, stone floor to ceiling gas log FP, french door study off entry, all beds have attached or adj baths including the 1st"
"Come enjoy the charm of the established Montecito neighborhood and the Opportunity to own a masterpiece! View the enchanting elements of this contemporary mid-century style home showcasing open living area and great for entertaining. Close to tranquil Eureka park, and a short drive to hospitals, schools and shopping. Bedrooms present large walk-in closets and are flanked by tile baths and afford maximum privacy. The natural light throughout the home is spectacular with views to the large backya"
"This could be your million dollar dream house (for less than a million) on a lot you never imagined. Stone and brick Navarro with Casita and front courtyard. Set on a magnificent un-obstructed view of the golf course and ponds. Beautiful wood floors. Kitchen with premium Thermador SS appliances. Fridge, gas cook top, dishwasher, oven, microwave and warming drawer. Stone back splash with niche and pot filler faucet. Great room with custom media built in unit with fluted molding. Gas fireplace. Ma"
"No detail has been overlooked in this immaculately crafted 2-story home residing in the stunning Shadow Brook Place addition! 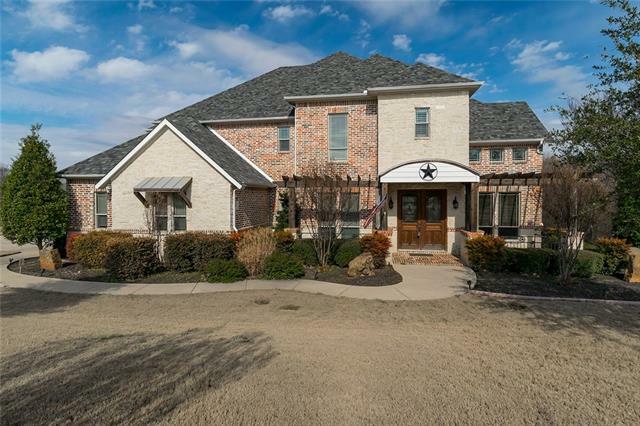 A grand staircase & foyer welcome you into this sprawling home where you will find 5 bedrooms including a guest suite on main floor, 4 full baths, 3 living areas, & 3 car garage. 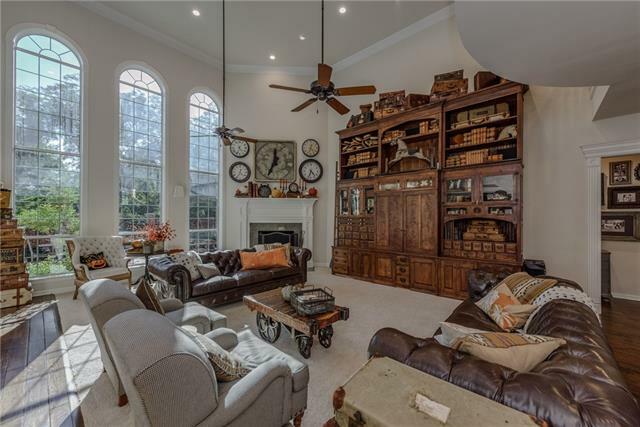 Custom finishes throughout include Travertine and hand scraped hardwood flooring, extensive crown molding, towering ceilings, plantation shutter, & more. Island kitchen is a chef's dream with 6 b"
"Welcome Home! 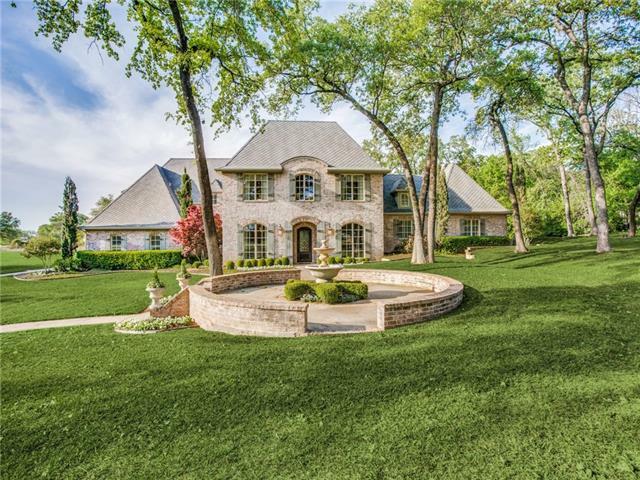 Search is over for one of the finest homes in Robson Ranch. 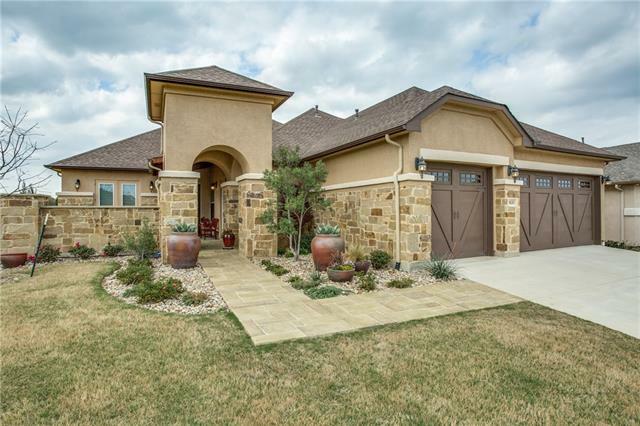 3,263SF Navarro Estate Model with Casita and secluded Courtyard. 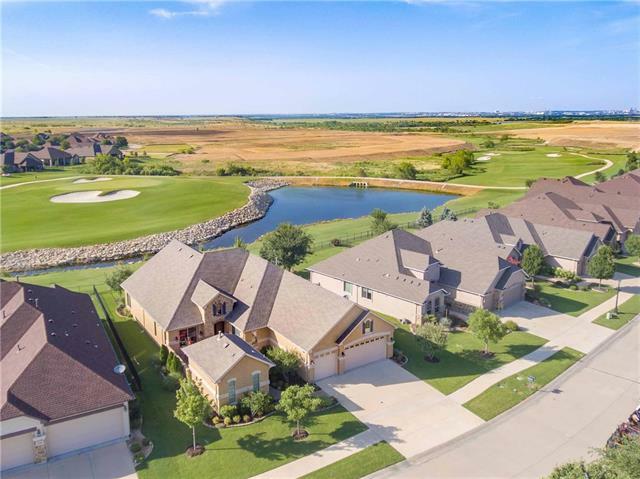 Home backs north to the 3rd Green of the Palomino Golf course and a lake with a grand view north to Denton. This well appointed home takes luxury to a new level. Adorned with upgrades at every turn and available for move in now. Lower utilities with multiple energy saving features, entertain in style, extra storage for treasures, enjoy a great golf course vie"
"Stunning home features 4 Bedrooms and 4.1 Baths, Master Bedroom offers seating area and natural light, Master bath features roll in shower with seat, Marble counter top and custom closet with built in drawers, Enjoy open living and Kitchen that feature fireplace, wet bar, Island and breakfast nook, Quartz counter top and back splash complimented by under counter lighting and Monogram Appliances. Covered patio provides a great view of protected natural habitat that joins your backyard. Upstairs b"
"Montecito subdiv. Mediterranean Spanish GEM ! This home has been immaculately cared for and it shows! Wonderful views of pool, courtyard with fountain and rear grounds. Guest house with private bath. Garden Storage could easily be a workshop. Master bath looks like a resort with slipper tub and separate shower, two separate vanity sink areas. Storage is plentiful. A first floor storage room that would accommodate rolling in the Christmas tree for next year. The thoughtful designer of this was "
"Another beautiful home in Country Club Village, is coming soon! Denton address with Argyle schools! 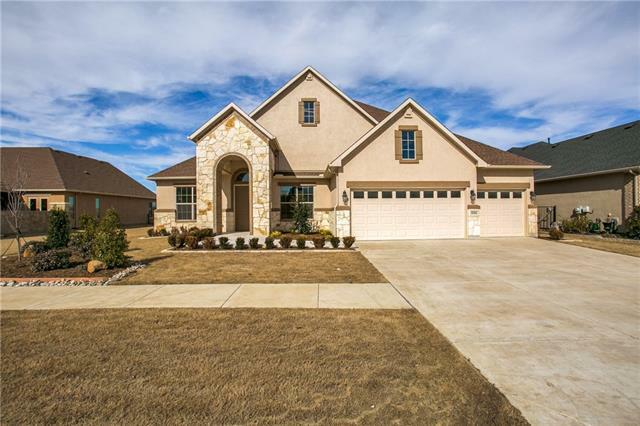 This amazing one story, 4 bedroom home, 3.5 bath home has a great split layout with game room near the children's rooms! Also, extra parking garage for auto, boat, or RV storage. Nice open living and kitchen areas with covered porches on front and back of home. This builder will exceed your expectations! Beautiful homes! 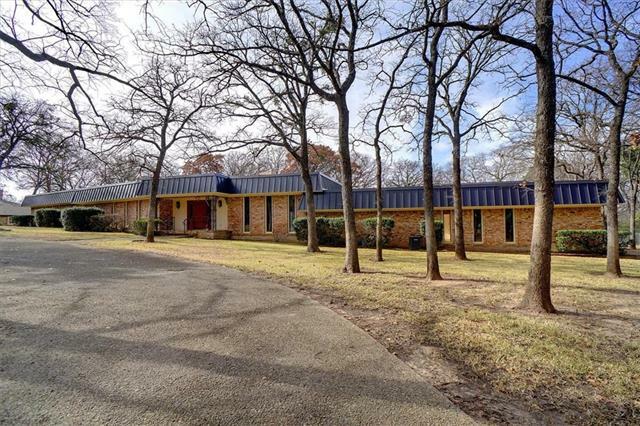 Buyers agent and buyers to confirm all dimensions and schools listed,"
"Luxurious 2 story home sits on massive lot & backs to Corps property & is just a quick walk to the lake! A partial list of upgrades includes: handscraped hardwoods, study with French doors, high ceilings, crown molding, 2 fireplaces, custom built-ins, staircase with wrought iron balusters, balcony, dry bar, game & media rooms, tech center, gourmet island kitchen with granite, breakfast bar, tumbled stone backsplash, commercial grade gas cook top, built-in refrigerator, stainless appliances, pot"
"Introducing an exceptional Custom Home from Kennedy Mercer Custom Homes sitting on a private 1 acre lot at the end of a quiet Cul de Sac. This home elevates the senses with its open floor plan and custom features in each room you explore. The open concept kitchen is simply a masterpiece complete with an expansive granite island, farmhouse sink, commercial 6 burner range and pot-filler. The foodie in you will be thrilled! 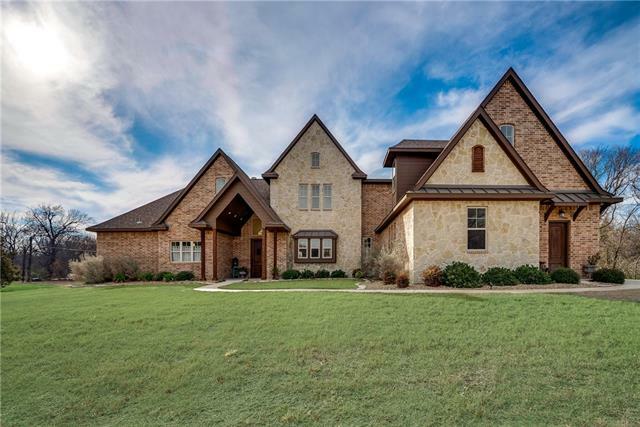 The master retreat offers serenity, space & luxury to spare with bay wi"
"Step into this luxurious country craftsmen home located in the Hills of Argyle. 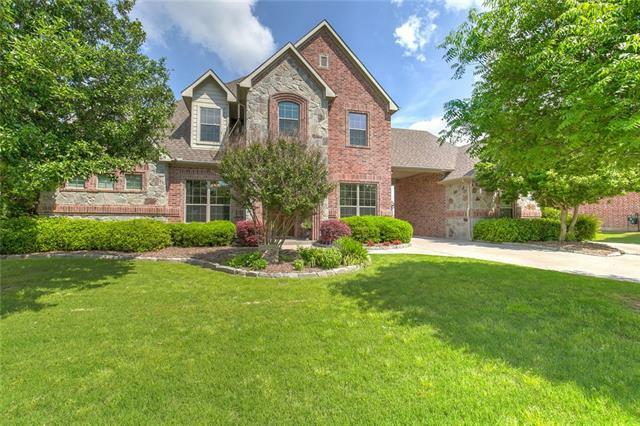 Hardwood floors lead to the great room with vaulted ceilings & stacked stone fireplace. Wall of windows fill the home with natural light & provide views of your private acreage. Living area opens to the kitchen with granite counters, contrasting quartz island, large crushed granite sink, gas cooktop, & potfiller. Relaxing master suite provides a freestanding air jetted tub, walk-in shower, separate vanities & large c"
"Impressive Quality! Open & Spacious! Backyard Paradise! This Fantastic Floor Plan Boasts Hardwood Floors, Gourmet Kitchen, Huge Island, S.S. Appliances, Extra Large Upstairs Game Room --- These Are Just Some of the Desirable Features This Home Offers! Amazing Backyard with Pool, Spa, Rock Waterfall, Fire Pit, Lush Landscaping, Basketball Court, Expansive Outdoor Kitchen & Patio. Argyle ISD. Roof Scheduled to be Replaced April 2019. All Carpet Replaced March 2019. 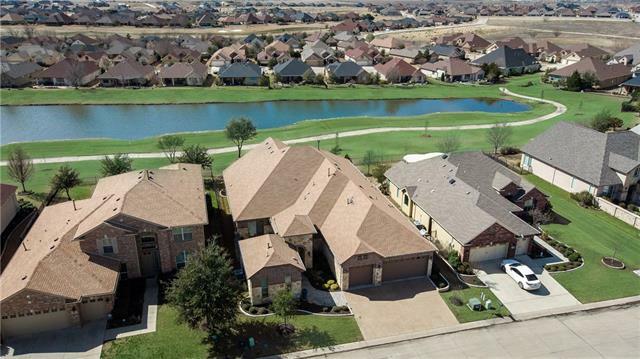 This Beautifully Maintained"
"This beautiful Navarro floor plan is PRICED TO SELL and located on the 6th fairway of the Wildhorse Golf Course with lake views. $180K in upgrades in this fabulous home. Large ceramic stone floor tiles and hardwoods. Granite counter tops, Knotty Alder cabinets, Stone fireplace. 65 in TV included in custom entertainment cabinet. Extensive media wiring. Surround sound 3 rooms. Custom window treatments. Stone courtyard with access to dining and guest suite.. Fenced yard with views from covered pati"
"Born 2010 this pristine and one of a kind , 2988SF Navarro has 2BR, 2.5BA, and a 3 car garage that is heated and air conditioned. Home has beautiful full-sized, walk-in wet bar. This uniquely designed home is built on a premium lot, on a cul de sac, and has beautiful views and sunsets. Kitchen has double ovens, 5 burner gas cooktop, prep island, and granite countertops. Plantation shutters throughout. Definitely a must see!" 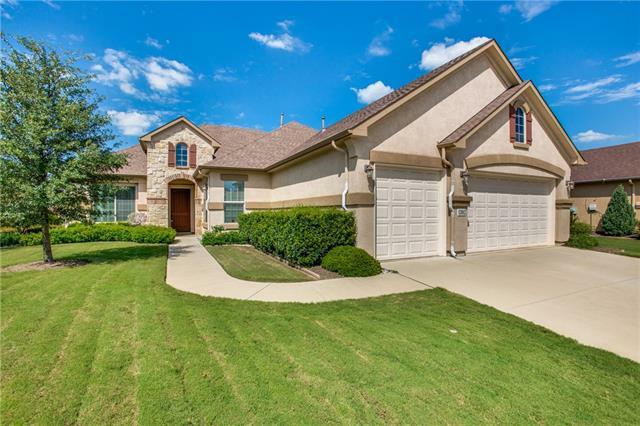 "You'll love this Navarro floor plan with fresh paint and immaculate finishes. The Open Floor Plan and corner lot and culdesac location will provide a great place to relax, entertain and have your little space of peace. The spacious kitchen, gas cooktop, double ovens and stainless appliances are ready for your cooking skills. Large covered patio provides the perfect place for our Texas nights or afternoons. 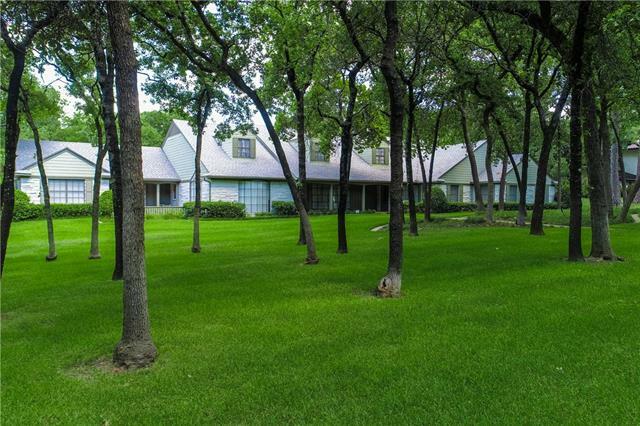 This is an active community so you need this peaceful setting." 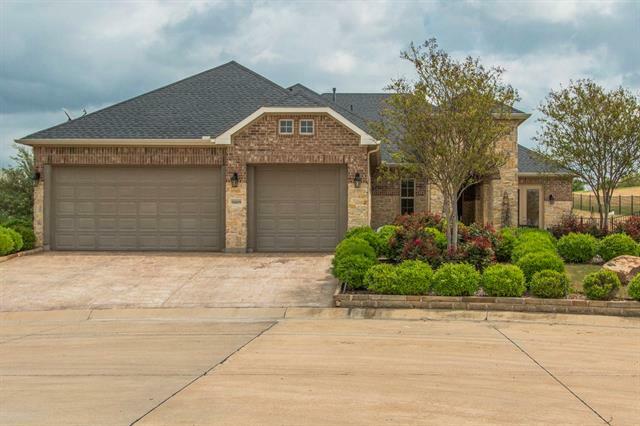 "Located on a large 1 acre lot in the desirable Hills of Argyle, this Noble Classic home features everything you could want in a custom home. With an open concept living area and tall vaulted ceilings this home illuminates with natural light. Master and secondary bedroom downstairs along with a study. Two bedrooms and a media or game room on the second floor. Enjoy sitting in this gorgeous back yard on beautiful spring or summer days while you watch and listen to the custom water feature flow!" "PRIDE OF NORTH EAST DENTON! 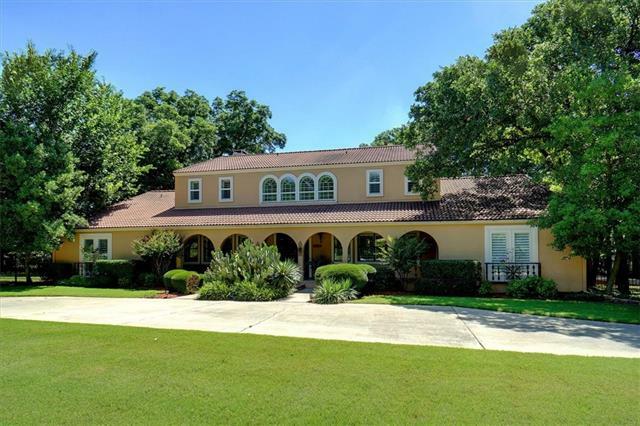 Walk into this home and you will quickly notice soaring ceilings, a beautiful staircase, Large windows looking out your backyard with HEATED POOL. 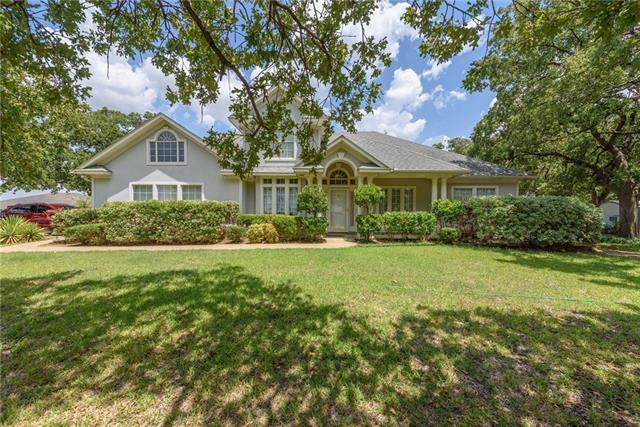 This custom built home offers NEW wood floors, and carpet. kitchen is a dream with beautiful countertops, custom cabinets, oversized island, Grand Pantry, enormous laundry room. master bedroom is light and bright, bathroom that offers tub and walk in shower with multiple shower heads. STORAGE EVERYWHERE. 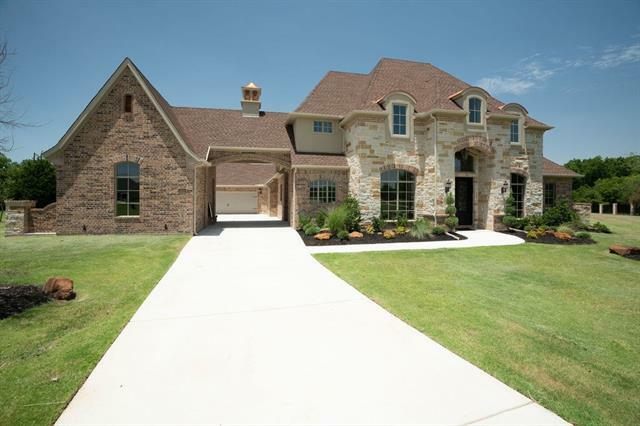 wonderful floor pla"
"Beautiful all Brick Navarro Estate Model built in 2010. List price is $125,000 below replacement cost. Premium Cul-de-sac Lot backs to a Greenbelt with SW facing that provides privacy with covered patio. Many options and upgrades including Crown Molding, upgraded Cherry cabinets, upgraded flooring, GE Profile microwave & oven, electric cooktop, walk in 4X6 pantry, external exhaust, large island with breakfast bar, pull out in lower cabinets, upgraded granite countertops, upgraded plantation shut"
"Beautiful All-Brick Navarro Estate model built in 2010. Premium elevated Lot that backs to a Greenbelt with NNE facing Covered and Extended Patio. This one has over $189k in Options and Upgrades including Crown Molding, Upgraded Cabinets, Upgraded Flooring, Double Wall Ovens, Upgraded Granite countertops, Full Tile Backsplash, Plantation Shutters throughout, Electric Retractable Solar Screens on Back Patio, Two (2) Gas Stub-outs, Pavestone Extended Patio and Driveway, Insulated Garage Doors, Ful"
"Historic Craftsman Gem in the North Bell Historic District. Two properties 1815 and 1811 N Bell. An Oasis of Outdoor Features On Nearly 1-acre. This Rare Opportunity Comes Complete With a Detached Office or Media Room, Jacuzzi, Irrigated Greenhouse, Private Gardens, Pool, 500SF Pool house, 50 amp RV pad with complete hook ups. Covered Front Porch, Viking Oven, Commercial Gas Range, Copper Backsplash, Master Walk-In Shower, Granite, Wood Floors, Stone Fireplace. Nicely set back from the Street fo"